Julian Holland (born 24 January 1958) is a British pianist, bandleader ( Jools Holland & His Rhythm & Blues Orchestra ), television presenter, architectural eccentric and pop music enthusiast. He was also a founding member of the highly acclaimed and successful band Squeeze. 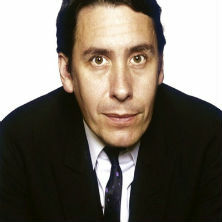 Eventim is the place to look for Jools Holland tickets and tour dates. To be the first to hear when more Jools Holland tickets go on sale you can sign up to the Eventim Ticket Alarm below.